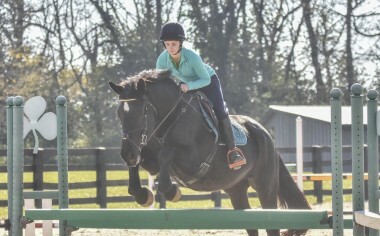 Loughnatousa Reiner aka “Reiner” is a 7 year old Irish Sport Horse purchased from Boyd Martin in the summer of 2015. Reiner is currently competing at a Preliminary Level. “Diamond Cut” AKA Diamond is a black Percheron/Thoroughbred cross mare who came from Canada to Twin Fox Farm at 6 months of age. Michael Fitzgerald rides Diamond Cut (Diamond) frequently. “Kentucky Gentleman” AKA Tuck is Michael Fitzgerald’s older, now 24 years old, gray Percheron/Thoroughbred gelding. 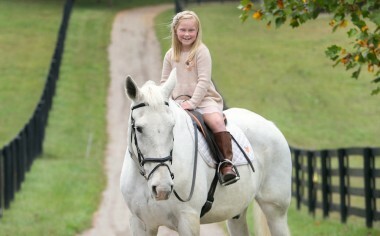 He is a happy mount for 7 year old granddaughter Hayden, who rides him every summer while visiting Twin Fox Farm. Raphael III is a 15 year old chestnut, Irish Sport Horse gelding, previously owned and evented by Olympic rider Carl Bouckaert. 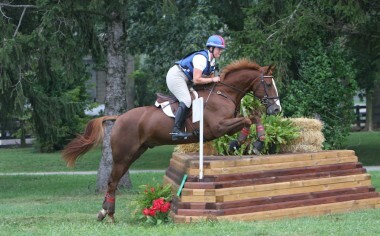 Raphael has shown at the Advanced and CCI*** Level. 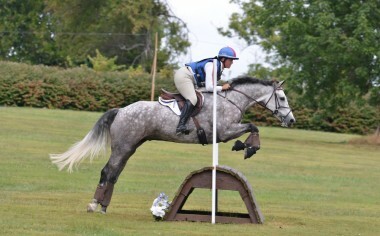 Katie is his new rider and they are currently riding at the Preliminary Level. 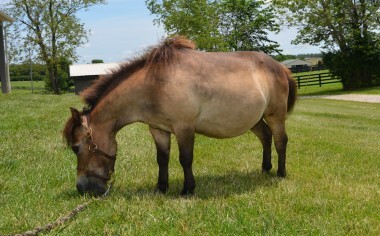 Teddy is our 15 year old mini who is a field companion to whoever needs a friend. Teddy has also served as a stall companion through the years to horses that have been injured on stall rest. Good job Teddy! 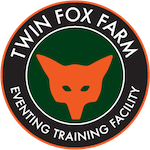 Twin Fox Farm is an eventing training facility located in the bluegrass of Kentucky outside of Lexington near Versailles in Woodford County.